Chen En was founded in 1983. From our humble beginnings in Taipei City to current position as one of the largest bubble tea (boba tea) suppliers in Taiwan, Chen En has come quite a long way in third decades. Chen En not only provides bubble tea (boba tea) materials, but we sat up a R&D department for OEM service. Moreover, in order to let everyone understand how to make bubble tea (boba tea) and how to operate tea shops, we also offer one by one training course. Chen En has exported our products to over worldwide, including China, Hong Kong, United States, India, Indonesia, Vietnam, Australia, Paris, Switzerland, Germany, United Kingdom, Chile, Spain, Philippines, Poland, Singapore, Canada, New Zealand, Ukraine, Malaysia, El Salvador, Pakistan, Croatia and so on. 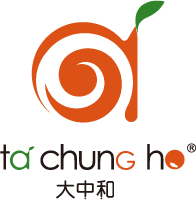 Not only provide our brand "TachunGhO", also we offer ODM service to oversea bubble tea (boba tea) chain stores, supermarkets and restaurants. In order to provide best service and high quality bubble tea (boba tea) products to customers, we were awarded ISO9001:2008, ISO22000:2005, HACCP certificates. Chen En is currently seeking qualified business partners who are as passionate about bubble tea (boba tea) as we are. We believe our commitment to Prefect Bubble Tea (Boba Tea) extends not only to our customers, but also to our business partners. The Goal of Chen En is to be the leading Taiwan Bubble Tea (Boba Tea) offering "Our Friends" delicious beverage.